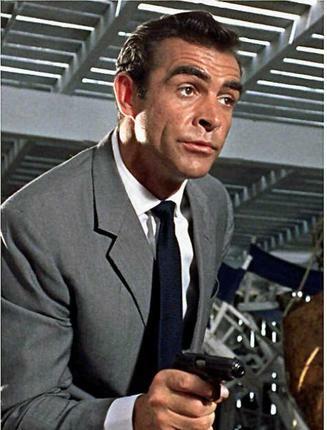 We’ll be working our way chronologically through the films of Bond, starting of course, with Dr No. 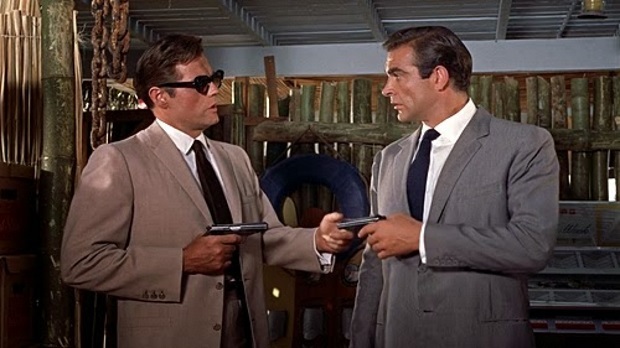 This light grey suit is a common sight for Bond in his movies from the 60’s. 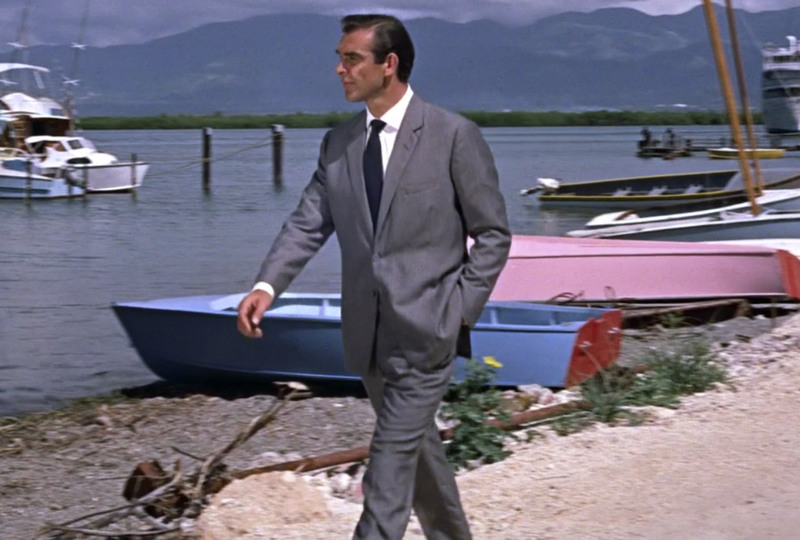 In this film, the jacket has a draped chest, standard width lapels and quite a steep gorge. 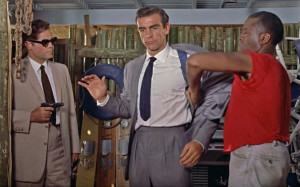 In Dr No, the jacket pockets are, unusually, situated below the bottom button, where normally you would expect these to be level with or a bit higher than the bottom button. The vents of this suit are about 8 inches and followed the trend from the 60’s to the 80’s, increasing to about 10 inches and 12 inches in following films. Deeper double vents create a more slimming and heightening look. 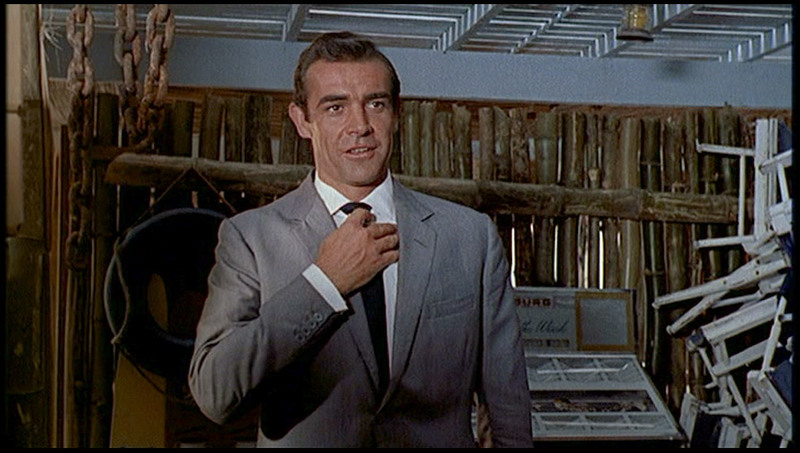 Matching grey buttons avoid drawing attention to Connery’s waist, not particularly his best feature at the time. The jacket is matched with double, forward pleated trousers, the legs of which have a trim and tapered cut, finished with turn-ups. Not a bad way to start for Connery, but it looks like heat would be an issue with a lot of the scenes being filmed in Jamaica!